Cascade Sciences stocks KF-16 vacuum connection hardware. 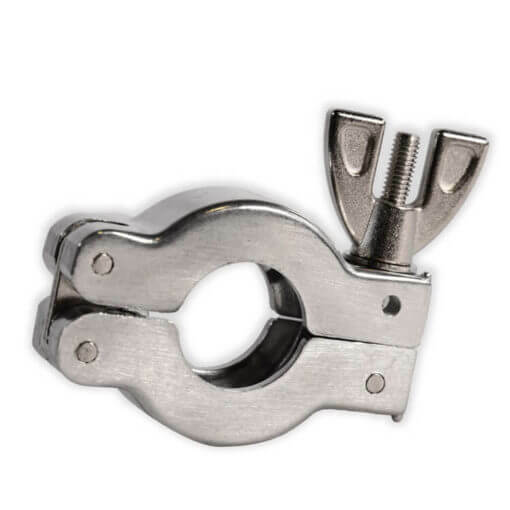 This KF-16 clamp is needed (along with the KF-16 centering ring) to make vacuum connections with high vacuum integrity. Need A Custom KF-16 Connection? We are here to help. Cascade stocks a wide variety of KF-16 related connections. Give us a call at 503-847-9047 or contact us via email and we will get you connected.